Cool cover from SCD in the early 1990's. September 8th 1995 issue of SCD with Mickey Mantle on the cover. Sports Collectors Digest 1979 & Sports Collectors Journal 1978 Babe Ruth Etc. See the pictures of the exact item you will receive. Plenty of reading and reference information in every issue. More are being added each week. Magazine is in nice shape with normal wear. In nice shape. You get whole publication. This is a lot of (2) SCD Magazines w Joe Montana. Cond is VG. May 25 1984 Sports Collectors Digest BABE RUTH YANKEES in excellent shape. This is a June 17, 2011 Vol. 38, No. 14, of Sports Collectors Digest, The Voice of the Hobby, with cover photo of Minnesota Twins Harmon Killebrew entitled: 'Harmon Killebrew: 1936-2011. 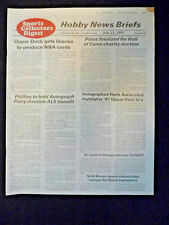 This digest is the hobby's oldest and largest publication. More are being added each week. Magazine is in nice shape with cover wear. June 15th, 2012 - vol. Sports Collectors Digest. 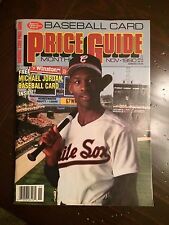 THIS SPORTS COLLECTORS DIGEST PRICE GUIDE MAGAZINE IS THE MARCH 1992 EDITION. MAGAZINE FEATURES LARRY BIRD ON THE COVER IN HIS U.S.A. OLYMPIC UNIFORM. MAGAZINE, IN MY OPINION, IS IN EXCELLENT CONDITION. 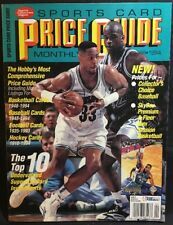 Sports Collectors Digest SPORTS CARD PRICE GUIDE MONTHLY Sep 1992 Griffey Jr.
February 1, 2019 Vol 48 No 3. Sports Collectors Digest. Plenty of reading and reference information in every issue. More are being added each week. Magazine is in nice shape with normal wear from reading. More are being added each week. An excellent addition to your Baseball Publications Collection. More are being added each week. Magazine is in nice shape with normal wear.